International Aid Network/IMHCN/Trieste Health Agency, Vojvodina, Serbia, July 2014 – July 2015. Working in Belgrade and Novi Sad. Introducing Whole Life Approach through Learning sets. In 2015 IAN and IMHCN will be establishing a Serbian Mental Health Network as part of the IMHCN. 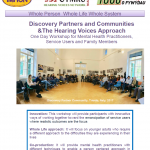 The members of this network will include those people who participated in the Whole Life Recovery Action Learning Sets in Novi Sad and Belgrade. We are also working on proposals for further work with our partners Prostor and Dusa. Background: Vladimir Jović, is a psychiatrist, psychoanalyst, human rights activist and researcher working in Belgrade,Serbia. Since 1993 Vladimir has worked on projects related to psychosocial assistance to refugees in the Soros Foundation, the Stress Clinic, Institute of Mental Health in Belgrade (in collaboration with UNHCR) and the International Aid Network in cooperation with Catholic Relief Services (CRS) and Catholic Agency for Overseas Development (CAFOD) and Cordaid. In 1997 he was one of the founders of the International Aid Network (IAN; www.ian.org.rs ), a local non-governmental and non-profit organization that is specialised in providing psychosocial help to vulnerable groups (such as refugees, torture victims, people living with HIV / AIDS, mentally ill, people with developmental problems), and since then in the IAN he worked on several programs as a psychiatrist, coordinator or project manager, and from 2006 until 2010 he was the Executive Director of the IAN. Since 2003 until 2008 Dr Jović was the Project Country Manager for Serbia in Mental health projects of Stability Pact for South Eastern Europe: "Enhancing social cohesion through strengthening of mental health in South-Eastern Europe" (2003-2008),and "Establishment of regional networks and systems for collecting and exchange of information on health and social care "(2005-2006), which were aimed at transformation of old psychiatric institutions into community mental health care. From 2008 he worked as a consultant on the program "Development of integrated mental health and social services for the model region" which is being implemented in collaboration with Global Initiative in Psychiatry (GIP), IAN, Special Psychiatric Hospital “Gornja Toponica”, Nis, Ministry of Health and the Ministry of Labour and Social Affairs of the Republic of Serbia. From 2010 he is the members of the Board of the International Mental Health Collaboration Network (IMHCN). Since 2001 Dr. Jović was working as the Medical Director at the Centre for Rehabilitation of Torture Victims (CRTV) in IAN, financed by the European Commission. CRTV is today continuously financed by the European Commission, the United Nations Voluntary Fund for Victims of Torture(UNVFVT), and cooperates with the International Rehabilitation Council for Torture Victims (IRCT) in Copenhagen and a network of Centres for Prevention and Rehabilitation of Torture Victims. CRTV provides comprehensive rehabilitation of torture victims (victims of war-related torture and victims of police or institutional torture). Since 2004 until 2006 he worked as the Director of the "Redress in Action" programme, aimed at providing medical, psychiatric / psychological and legal assistance to refugees who were forcibly mobilised, as well as coordinating advocacy activities. Since 2006 until 2008 he was the coordinator of the project "Prevention through Documentation" (IPIP2) to implement the Istanbul Protocol for the Prevention of Torture, in collaboration with the International Rehabilitation Council for Torture Victims (IRCT). From June 2009 he is a member of the Expert Council for the protection of persons deprived of their liberty of the Protector of rights of citizens of Republic of Serbia (Ombudsman), where he is working to establish a system for monitoring of prisons, social and psychiatric institutions. Since 2011 he works as an expert for the National Preventive Mechanism which is operative within the Office of Protector of Citizens of Republic of Serbia. As a consultant he worked for the Helsinki Committee in Serbia (the monitoring of social services), office of the OSCE Mission to Serbia (Capacity Development Office of the Protector of citizens' rights), Belgrade Centre for Human Rights (mental health care in prisons), Latvian Centre for HumanRights (Monitoring Places of Detention in Montenegro), Council of Europe (health care system in prisons in the Russian Federation). IAN is a local non governmental organization established in 1997, during the war on the territory of the former Yugoslavia. IAN wants the region of South Eastern Europe to be healed from the consequences of war and political violence and to become a civil society where human rights and well being of all are respected. IAN supports the human rights violation survivors and other marginalised and vulnerable groups in development of their own potential for decent life in peace. 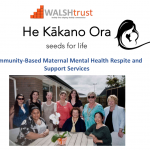 IAN has a Mental Health Group (MHG), the MHG consists of several psychiatrists, psychologists and lawyers working in IAN who have gathered in order to develop program activities for protection and rehabilitation of mental health of individuals with mental disorders. These activities are especially targeting people residing in psychiatric hospitals ("asylums") or institutions of social protection, while special interest is given to prison inmates and those who are providing the care for them. 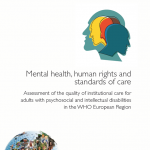 Main aims of the MHG is to establish set of activities for assessment of mental health status of groups at risk, to assess and improve the quality of care that is provided, to promote mechanisms for protection of human rights of mentally ill, to initiate programs for prevention and rehabilitation of mental health disorders and to support reforms of the mental health care system. Prostor is the citizens’ association based in Belgrade, Serbia. It has been active in the field of mental health since 2010. In Serbia, Mental health is cited as the second largest public health problem after cardiovascular disease and only this year, decades after other parts of Europe, reform of mental health system has finally begun. The public opinion and attitudes toward persons with mental health problems are highly negative, due to the lack of information and approach of the media when reporting on the subject. These facts result in complete rejection by family members, surroundings and the society as a whole. Users of psychiatric services often feel lonely and isolated and have no opportunities for participation in social life and poor access to psycho-social activities outside of old-fashioned and stigmatizing institutional setting.In the first two years, Prostor carried out projects in psychiatric institutions under common name – the ReMind projects. These projects were supported by one local foundation- Trag foundation, CNF/CEE- Cooperative of the Netherlands Foundations for Central and Eastern Europe and Serbian Ministry of culture. The projects took place inside Special psychiatric hospital in Vrsac (North Serbia) and Clinic for Psychiatry, Clinical Center of Serbia. Main activities were art programs and art therapy workshops and main goals were to empower persons with mental health problems, provide therapeutic and socializing contents within institutions, bring artists and other professionals inside of the institution, support re-socialization, exercise social and life skills, and provide psychological support through art therapy. 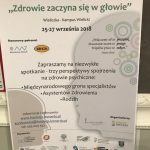 Through these projects, we managed to open the doors of the institutions and strengthen the collaboration, empower the psychiatric care users to accept their condition, involve actively in their own recovery. As far as the public is concerned, through public events, exhibitions and media coverage, we started to inform public and change public opinion and the level of prejudice in our society. In the last two years, Prostor focused on the development of services in the local community, outside of the psychiatric institutions, following the Community Mental Health model, practiced in many countries. Through collaboration with Belgrade municipalities, they are delivering different services to people with mental health problems. Some of the main activities are: psychosocial support (art therapy, psychotherapeutic group, development of the Hearing voices approach to self-help groups and education of professionals), economic empowerment (selling art works and products on fairs and online, applied arts training), radio show “The voice of madness in the air” (regional collaboration), as well as different rising awareness and de-stigmatization activities (round tables, public events, media coverage). Their partner organizations are user led organisations Dusa and Videa and we are providing the overall support for their members as well as practical organizational support.